What Are The Types Of Music Keyboards Used Today? The purpose of this post is to give a little background of the various types of keyboards used in music today. There are many different types of keyboards used in music so I want to break down which types of keyboards are used for certain things. Whether you’re a beginner or just a fan of music, I want you to leave this post with a better understanding of the keyboard world as a whole. These are my personal favorite keyboards in the world today. The main reason for this is that you can access unlimited sounds with them. MIDI keyboards don’t internal sounds, they use a computer or laptop to access synthesized sounds. To do this you only need a USB cable to hook your keyboard up with your laptop or computer. You will then use a DAW and a VST program to start accessing all of the sounds that you will need. 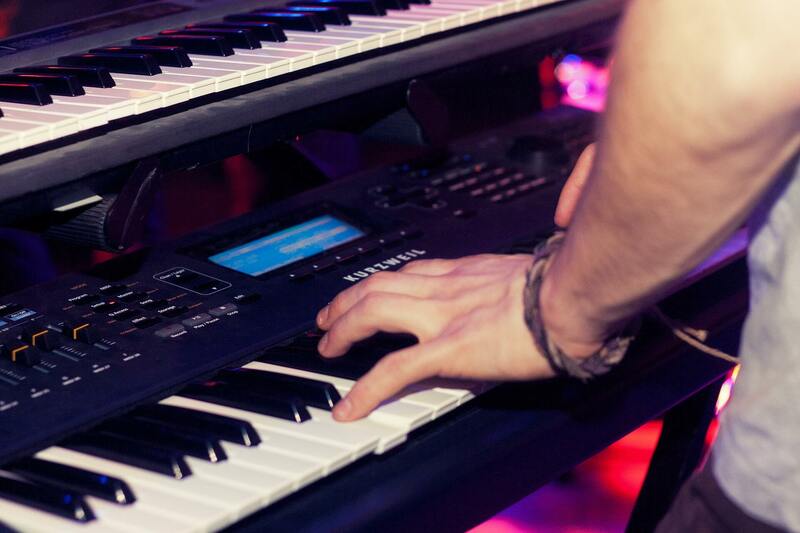 These keyboards are the most popular keyboards in the world for live performance because there are no limits with them. You can access any sound that you used in the studio for your album or literally any sound that you decided to use. You can also switch between sounds effortlessly. The main thing is that these keyboards don’t typically have weighted keys. You can get 88 key MIDI controllers that have weighted keys though. The digital piano is a great instrument that is made to emulate the sound of an acoustic piano. These are mainly for intermediate to advanced players as they are more expensive. However, there are budget digital pianos for beginners. These types of keyboards don’t typically have a ton of sounds. Their one job is to come as close to the sound and feel of a real piano. Most of them have headphone inputs as well for pianists who want to play quietly and not annoy those around them. The main reason why people prefer these over acoustic pianos is that they’re far more portable. Moving real pianos is not fun as they are extremely heavy. You also can’t really change the volume of acoustic pianos other than with the soft pedal and playing quietly. 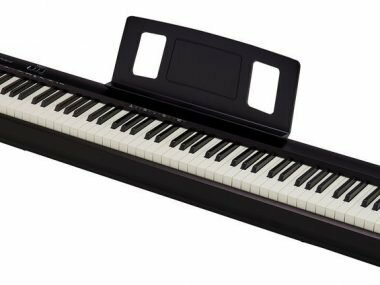 Digital pianos are popular among people who live in apartments or dorm rooms. They are usually cheaper than new acoustic pianos and they also give you a little more diversity. These are great tools for music producers and musicians on the go. They are typically a lot lighter than other keyboards and usually on the cheaper end of the spectrum. The sounds typically won’t blow you away, but that’s not what they’re meant to do. They’re meant to simply allow the musician to play the keyboard in circumstances where they typically wouldn’t be able to. These keyboards usually have built-in speakers, so you don’t need an amp when playing them. Most portable keyboards have a ton of different sounds on them as a lot of songwriters like these types of keyboards to spark new ideas while traveling. It surprises me that it took Bluetooth technology so long to make its way into MIDI keyboards. These are the types of keyboards that are wireless. You don’t need a USB cable as they connect via Bluetooth. In the next few years expect to see these all over the MIDI controller world. I think these Bluetooth keyboards will be all over the live music scene as it’s one less cable to set up every night. To me, this is a crazy invention. Easily the most portable keyboard as they are usually only made in 25 keys-37. Something to note is that these keyboards have mini keys. The keys are tiny as they are meant to fit in your backpack. This is truly a keyboard for music producers who want to hook up to their laptop on the go. You can use these on an airplane or in between classes during study hall. Pretty much any idea you have to use these would be appropriate. They are also very inexpensive. These are very popular keyboards for bands. Some of the most iconic song intros and hooks have been written and performed on synthesizers. Pretty much every band you see that has keyboards will be using at least one of these. Their purpose is to give you synthesizes sounds. They don’t always have a ton of keys, but they’re not meant to give you piano sounds. 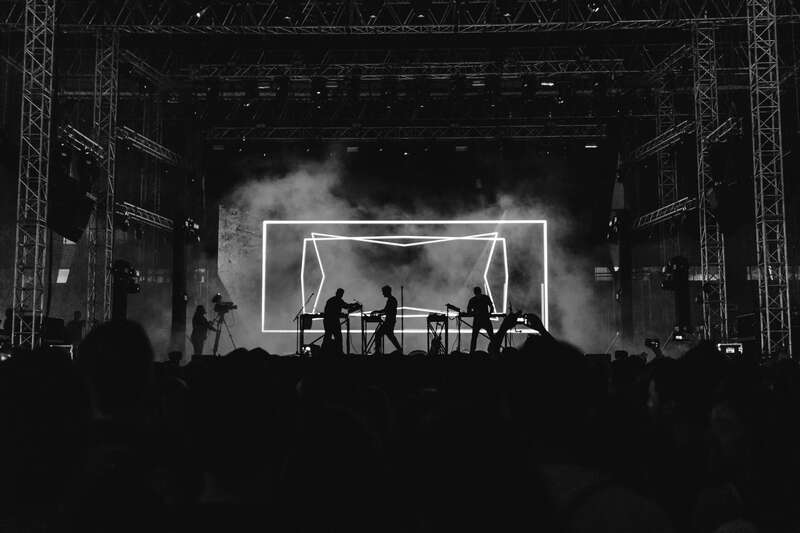 From pads to low-end bass sounds that shake the room to crazy cool sounding leads, hardware synthesizers give you a lot of freedom to express yourself in your music. These are instruments that are shaped like guitars but have a keyboard. You actually wear it as if it were a guitar. 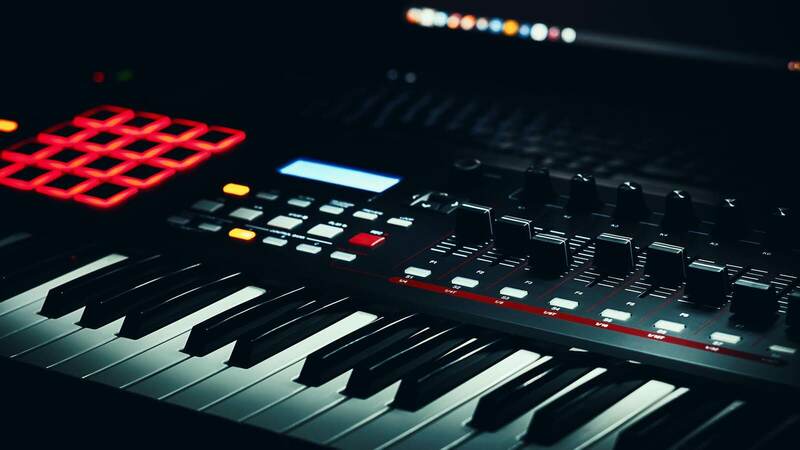 Here are the best keytars for musicians in 2019.